In September 2014, the scheme was formally launched; it is one of the flagship programmes of the government. In India, however, where millions of micro and small enterprises form the backbone of the economy, ‘Make-in-India’ can only work when SMEs can operate successfully. It is imperative to create an SME-friendly business environment. This includes having a simplified, easy-to comply-with tax regime that does not impose huge deadweight compliance costs, which in turn cripple the productive capacity of these small but vibrant enterprises. Two major policy initiatives of the government – demonetisation and GST – appear to have crippled the SME sector. Demonetisation is done and cannot be undone. It is critical, however to at least fix GST so that the negative impact on SMEs is mitigated. In an insightful article in the Financial Times, Amy Kazmin describes how “the GST is putting heavy pressure on informal businesses, most of which never fully recovered from last year’s demonetization. In the coming months, many are expected to shut up shop for good”. JP Morgan’s chief India economist Sajjid Chinoy has pointed to the disruption caused in the domestic supply chains of the manufacturing sector due to the impact of demonetisation on SMEs (which contribute up to 4% of manufacturing, by some estimates). Both GST and demonetisation are expected to have an impact on the informal sector, and the hope is that eventually SMEs turn to formalisation. But in the transition, what we have is an “adverse supply shock”, as Chinoy calls it. 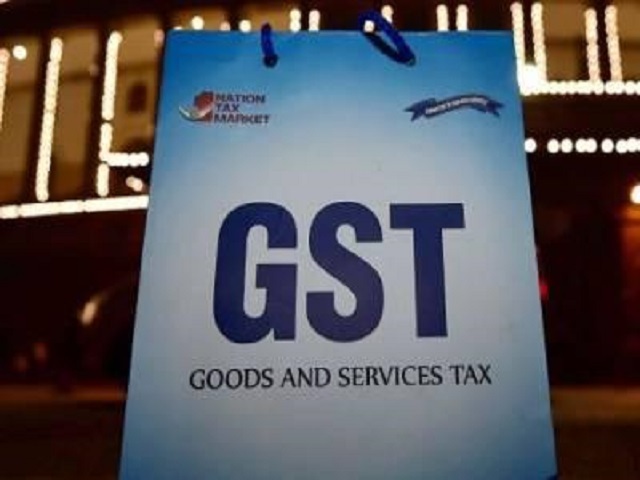 Economic commentator Mihir Sharma, writing in Bloomberg, says that complying with GST has proved to be so complicated that even medium-sized companies are struggling. Small companies, “those who cannot afford to hire a tax accountant or get online daily may be forced to shut shop”. I have some suggestions for fixing the GST for SMEs: one immediate administrative steps that must be taken now and policy proposals that need to be implemented in the medium-term. Many countries across the world find ways to ease the administrative burden of compliance with the VAT/GST for SMEs. India would do well to adopt an appropriate mix of these ideas. One common simplification measure is the less frequent filing of returns. Quarterly filing is used by several countries with varying levels of applicability based on turnover: in the Slovak Republic, it applies to businesses with turnover below $375,000. In Poland, the limit is < \$1 million, in Belgium it is <$1.3 million. In Canada, businesses with turnover <$430,000 qualify for annual filing with quarterly instalment payments; in Denmark semi-annual filing is offered. Of course, in India simplification measures should apply to much lower turnover levels. In fact, I would recommend that any simplification measure should apply to all firms with turnovers below Rs 10,000,000. A 2010 report of PricewaterhouseCoopers titled ‘The impact of VAT compliance’ found that the number and frequency of returns significantly impacts the time taken to comply. In countries where monthly VAT returns are required, the time taken to comply is 125 hours on average, compared with countries where returns are required to be made bi-monthly or quarterly, where the average is 81 hours. The more extensive the tax return, the longer it takes to comply. An analysis of the sample group showed that in countries where the tax return has more than 20 boxes to be completed, the average compliance time per return is over twice as much as in countries where the return has less than 20 boxes. It is understood that quarterly filing for SMEs is being considered in India. That would surely help, as the analysis shows. So would a simplification of the GST return for SMEs. There are other ideas. In the UK, a flat rate scheme (FRS) allows eligible small businesses to calculate the VAT liability as a percentage of VAT-inclusive turnover. The system applies to SMEs with turnover below $420,000. The percentage depends on the economic activity of the business and ranges from 5% to 14.5%. The flat rate scheme removes the necessity to calculate VAT on each individual input and output for the VAT account. Instead, only the flat-rate VAT will need to be passed to the VAT account. In Canada, under the “quick method”, which is applicable to small businesses with turnover below $150,000, the business charges the full VAT to its customer, but only remits a portion of that amount to the government. Remittance rates are, e.g., 4.7% for certain businesses that purchase goods for resale, or 9.4% for certain businesses in the service segment. Such measures help reduce any negative impact on the working capital of businesses. Simplified accounting requirements matching capacity of medium, small and micro businesses would help substantially reduce compliance cost. For SMEs, cash-based accounting could be permitted, where GST becomes payable only when they receive payments for supplies. A major issue that is emerging is refunds. It is reported that almost two-thirds of GST payments have been claimed back as input taxes which would need to be refunded (or adjusted). Any delay in refunds amounts to blocking working capital of businesses and is particularly acute for SMEs who do not have access to unlimited bank credit. Of course, all exporters will demand refunds and if they are not remitted quickly the export businesses will become uncompetitive. An IMF paper that reviewed country experiences on VAT refunds noted that best practice is to process a refund claim (pay, offset or deny) within 30 days, and this period should be mandated in the law. Measures like the ones described above should be immediately implemented, to provide relief to SMEs. Now, how do you define an SME? India opted for a very low turnover threshold in the GST law, of just Rs 200,000. This implies sales of just Rs 160,000 a month or about Rs 5,000 a day. This brings into the GST net virtually every corner kirana shop and every small manufacturer or service provider. We know that the vast majority of small businesses in India have been operating in the informal sector and simply do not have the capacity to comply with such a complicated regime, which requires technical knowledge of tax accounting and comfort in the use of computers with almost 24×7 internet connectivity. My recommendation is that the GST law should formally define SMEs, and the criterion should be those with a turnover of up to Rs 10,000,000. Why does that number make sense? Remember that the threshold for requiring a business to have their accounts audited by a chartered accountant under the income tax Act (Section 44AB) is also Rs 10,000,000. This limit recognises that given the economic environment firms with turnovers below Rs 10,000,000 are in effect small businesses. Using the same number in the GST will help align the definitions across various tax instruments and agencies. At this time, we could use this definition to qualify eligible taxpayers to avail of various simplification measures that would be provided. In the medium-term, my suggestion is to formally adopt this as a threshold for the GST. The main reason why states decided on a low registration threshold was ostensibly to avoid revenue loss. It is worth remembering that GST is a value added tax. So even if a business is not registered, it is paying the GST embedded in the inputs that it purchases, just as final consumers do. If it were to be registered and fully compliant – and full compliance is critical, just being registered will not help – then it would in addition pay an incremental amount of tax on its own value added, and that is the potential revenue loss. But how much would that so-called revenue loss be? We can get a sense of how small this would be when we look at data of the income tax department. The data above is taken from the report on the ‘Revenue Neutral Rate and Structure of Rates for the Goods and Services Tax, 2015′. It is fair to assume, as has been done in the RNR report, that this would also be the pattern of the GST taxpayer universe. As we can see from the table, the vast majority of potential GST revenue would come from the top two brackets – above Rs 100 crore and between Rs 10 crore and Rs 100 crore. These two brackets have only 2.2% of taxpayers, but would potentially contribute over 80% of tax revenues. The distribution is highly skewed. As the table shows, the number of small businesses with turnovers below Rs 10,000,000 is 86% of the total number, however, their total turnover amounts to just 3.4%, which is also likely to be their share in GST tax revenue. Hence my suggestion to set the GST turnover threshold at Rs 10,000,000, thereby ensuring a large number of small businesses don’t have to face the daunting task of complying with the GST. The option to voluntarily register for the GST will of course be available to those firms who would like to do so to be able to claim credit for input taxes they may have paid on their purchases. The likely question to be raise here is – what will happen to all the SMEs under the turnover of Rs 10,000,000 crore? Will they slip out of the tax net and become informal? Several states are likely to raise this issue, concerned as they are with losing out on the number of taxpayers. To address this concern, I suggest a flat fee – which is in the nature of a business permit – to be charged from all businesses with a turnover between Rs 2,000,000 and Rs 10,000,000. This flat fee could be decided by the states individually but I would recommend a moderate amount, say Rs 20,000, which is similar to what was implemented in Bihar (although they still called it a tax) under the Laghu Kardata Yojana, 2010. I am implicitly assuming that all enterprises below a turnover of Rs 2,000,000 are micro businesses, just as the GST regime does. One other point does need to be made; looming in the background is always the question of corruption. Having a huge number of registered small firms on the roster who are finding it difficult to comply is a recipe for building a corruption-prone regime which only serves to perpetuate the “inspector raj” culture. On the other hand, selling a business permit with a fixed, moderate, flat fee is easy to administer and comply with, provides businesses a legitimate right to carry on business, and saves them from corrupt tax officials.